She went on to talk about root doctors, Tommie Bass (who I'd heard of some years back after meeting Darryl Patton who wrote a book about Tommie), who was her teacher for a long time, and the way Appalachian folk herbalism has worked and how it came together from factions all over the world. Both evenings were fascinating, and I was struck by Phyllis' comfortable speaking style. Both nights during the drive home, we discussed what we'd heard and it just kept unfolding. It reminded me of the class I'd taken earlier this month at The Rosemary House with Pam Montgomery. In both cases, it was in thinking about them later that the information was really digested. We car-pooled both nights to Farm at Coventry, so that allowed for more input on the ride home. Another thing that I really love is that even though both of these great herbal teachers presented at venues that were an hour distant from my home - in different directions - walking in, I was greeted by herbies that I know either in person or have met on-line. The kitchen table was laden with refreshments to enjoy before and after the presentations. That is an added bonus that is hard to describe. Perhaps it is because places like The Rosemary House and Farm at Coventry host these wonderful herbalists on a pretty regular basis as well as having other good herbal classes, that makes this area rich with herbal learning and enthusiasm. I hear from herbies all the time who tell me that there is nothing herbal going on in their local area. Some can't find even a single person nearby to talk to or go into the woods or fields with, and here we are with this incredible wealth of learning opportunities. I'm very grateful to these herb businesses for bringing so much interest and knowledge to our area, and wonder if they know how much good they are doing. So often, we go along in what we do without ever knowing if we make a difference. I can say without hesitation that these two - The Rosemary House and Farm at Coventry - are responsible for many, many people taking an interest in herbs and learning how to use them properly. I appreciate it. We aren't finished adding prizes to the pot for our drawing to celebrate the release of "By the Hearth" yet! Susan Hess from Farm at Coventry has added an 8oz bag of her famous brew. 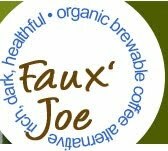 Faux' Joe is a roasted grain, root and bark beverage & delicious, caffeine-free alternative to coffee! Not an instant, this granulated brew-able blend works well in a standard coffee maker, cappuccino machine or French press. with just a hint of carob, coconut & cinnamon. 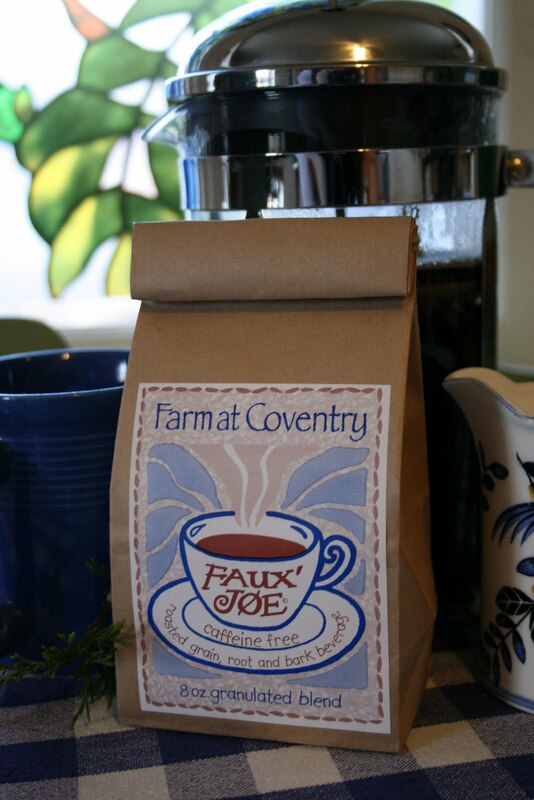 Enjoy your Faux’ Joe straight up or serve with warm, frothy milk for a yummy “Faux’-cuccino!” Fantastic chilled and served with ice & Cream ! The possibilities are endless…Brew up a cup! 8 oz. bag Makes approx. 40 cups. There are still a few prizes to add, and they are still coming in - so get your order for "By the Hearth" in before Nov. 7th to be in the running! This morning I posted a picture of persimmons on The Essential Herbal Facebook page, and a couple of people asked what they tasted like. I had some pulp in the freezer, so I got it out and thawed it to really be able to describe it (sweet tea with fruit). Once it was thawed, I had to use it. There's no need to have a whole bunch of cookies in the house, and we're going to the Farm at Coventry tonight so.... But there will be people there who can't have gluten. Mixed it up good, dropped small spoonfuls onto parchment, and baked them at 350 degrees for 13 minutes. Parchment was VERY important.. They still needed to be lifted from the parchment with a knife. If there had been more flour, it would have been better to add some butter and an egg. I think I'll make an orange glaze to top them with. We've got another prize to add to the pot for the drawing for those pre-ordering By the Hearth. This is so much fun! 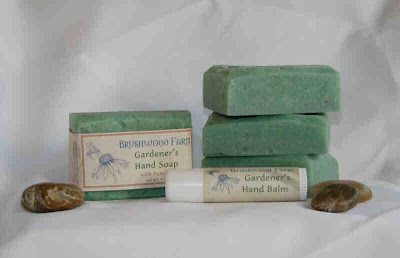 "The Gardener's Hand Balm is a tube of comfort for your garden weary hands. Made from calendula infused oil, virgin coconut oil, shea butter and our own beeswax, it's scented with a blend of essential oils known for kindness to ravaged skin. We love this for wintertime dry skin too!" We've had the great pleasure of trying some of Diane's soap and balms - they're the real deal! I'm starting to think I may have to buy one of these books myself - just to get in on the drawing. This weekend - oops, no, that's not until November 7 (!!!) the clocks will turn back an hour. By 6pm, it will be dark, so for people who work during the day, whether we have frost or not, the gardens will be over unless they're willing to toil by firelight. I'm hearing from friends who are so glad to be finished for the season. Growing and gathering our own herbs means that we need to always be thinking about when different things will be ready to find. Is it too late for another batch of jewelweed? Are the persimmons starting to drop? Did I miss the spicebush berries (again)? The garden is relatively easy to keep after, but the wild herbs are always in the back of the mind. This particular summer was a hard one to keep up with! It started 6 weeks early because we never got a frost after late March, and then mid-summer turned into a solar oven that had me cowering inside. There are plants that will signal when it is time to harvest others if you've been wild-crafting long enough. A good example is the highly visible Joe Pye weed, that always blooms in conjunction with blue vervain. Sweet violets in the spring tell me that if I haven't gotten into the woods, I'd better hurry if I don't want to miss the ramps, trout lilies, and blooms of skunk cabbage that hug the earth. Now herbies can relax a little bit. Maryanne and Kathy (from Cloverleaf Herb Farm) chat, in no rush, while I wandered the gardens checking out the display plantings. If we didn't get what we wanted this year, we'll just have to come up with alternatives. We can play in the kitchen and whip up concoctions and blends. Unless you happen to live in the hive that is Frog Hollow, that is. Well, in honesty, most of the herbies I know have just switched to another, quieter form of busy. Here we are gearing up for the tree farm activities. Here, we are buzzing! I woke up this morning with the feeling of waiting for the other shoe to drop. Yesterday we delivered all but one (ok...two - lol) of the soap orders that rained down this month. There are surfaces!!! Work tables are clear and ready for more. We had a chance to visit Sharon Magee (of Herbal Pottery) and see her gardens lit with candles and twinkling lights. By the Hearth is at the printer, and all of the pre-orders that have arrived so far are organized and the envelopes are ready to be labeled, stuffed, and shipped. We're putting some thought into the little holiday shop we put in for the months of November and December, and are actually in a good place to be ready for the first time in several years. 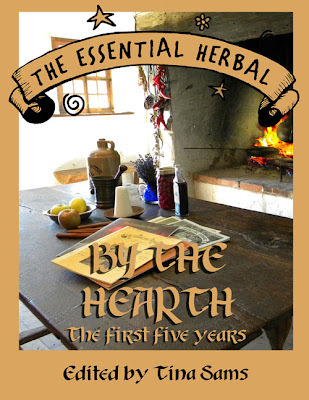 We have 2 weeks before the next deadline for The Essential Herbal. Seriously.... I must be missing something. Could we actually be caught up? more? hydrosols from SunRose Aromatics!!! We are having such a blast with the pre-release of "By the Hearth" as gifts for the prize drawing come in! Handmade pottery and jewelry, wild plant field guide and cookbook, earth-friendly containers... and now this from SunRose Aromatics: This Sampler of Hydrosols for one lucky winner! Be sure to visit all of our contest sponsors to see all the wonderful things they offer :-). Just as we were formulating the plan for the prize drawing for the pre-release sales of By the Hearth, my friend Dennis Ellingson wrote to offer several copies of his newest book! This full-color field guide and cook-book will be a useful addition to the reference shelves of many readers of The Essential Herbal. It will also be released any day now, and is otherwise available at www.cladach.com along with his previous book, God's Healing Herbs. The list of prizes just keeps growing, but the By the Hearth is a prize all on its own! We know that you'll spend many cozy days reading and then trying the crafts, recipes, and herbal preparations and remedies included. 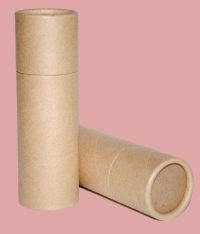 If you've ever wanted to try different and earth-friendly containers for your balms and lotion bars, Rebekah at thesoapdish.com has added 10 of these push tubes to the bevy of prizes that are amassing for those entering the contest by purchasing a copy of By the Hearth. These will be perfect for those holiday gifts you're planning to make, perhaps with recipes from Balms & Salves, Recipes and How-to, or in By the Hearth! 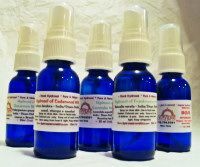 Lots of great recipes and remedies, and these tubes are made especially for oil-based preparations. There is something so different about the way the sun plays in October. The color of the light is more yellow and rich, as if we were living in semi-sepia. The sky takes on a deeper, more tangible blue. Everything feels (or appears) more solid and tactile. Intellectually, I know it has to do with the angle of the sun and the earth, but in my heart it is about a mellowing. Everything is deeper, earthier, more solid than it had been just a few weeks ago. There is a melancholy edge to it, and walking through the woods feels a bit like saying goodbye to a beloved friend who never stays quite long enough. The seedheads and bedraggled leaves are reminders of those moments when there were bright blossoms, berries, and birdsong. Now there is quiet, with the occasional plunk of a falling black walnut or the skittering of a squirrel in the fallen leaves. In a way, autumn helps us to learn to live in the moment more than any other season. Spring and summer offer us such abundant displays of color that sometimes we don't stop to notice the single blossom, the leaves in their singular appearance, or the "personality" of each specific plant. In the fall, we can scarcely help but notice each bit that glows and offers us a glimpse into their cycle and habit. The harvest is even more solid, with root vegetables, apples, and pumpkins taking the stage - all substantial and thick. And so I crunch along, back to work... into the cozy workshop that will soon be wearing long crystalline stalactites of ice that will nearly touch the ground. We're closing in on a hard frost. It won't be much longer. Into the stark gray light of winter, we'll go. I changed my mind on the bracelet prize when I laid eyes on "Winter White." It's so much fun gathering prizes for the pre-release of By the Hearth :-). The glass beads are lampworked by Maryanne Schwartz of Torchsong Studio, with rich shades of fall and winter, highlighted with speckles of silver glass. 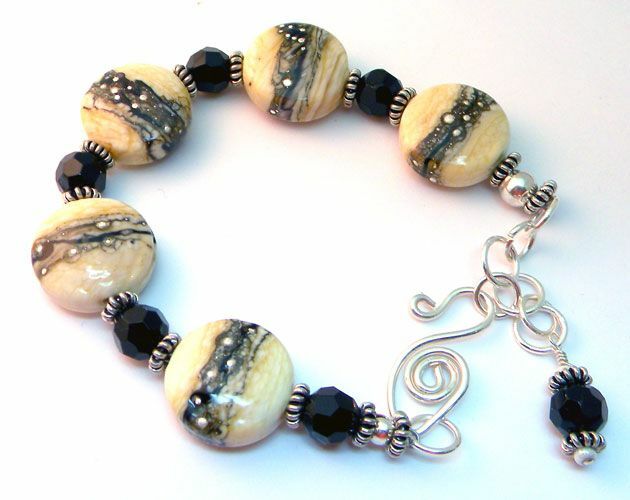 She strung them with black crystals and silver accent beads, and hand wrought Sterling silver closures. Perfect to celebrate the release of By the Hearth! Order by November 7th to have your name in the drawing for this beautiful piece of handmade jewelry! Last night I picked up a sweet little prize for the drawing we're holding to celebrate the release of By the Hearth. This cheese plate is hand built, pressed with fresh herbs, and then hand painted by Sharon Magee of Herbal Pottery. Sharon doesn't have a website, so it is just luck that I happen to know her and have access to this amazing artistry. All you have to do to enter the contest is purchase By the Hearth in the pre-release special (you already win by getting a 20% discount! ), and we'll put your name in the jar. "By the Hearth" pre-release special! Finally! The fall and winter compilation - By the Hearth - is almost here! 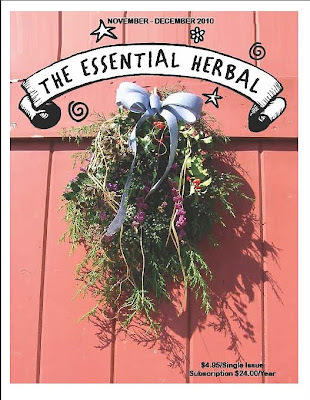 This incredible compilation of the first five years of issues filled with fall and winter herbal wisdom and knowledge is just weeks away from release. 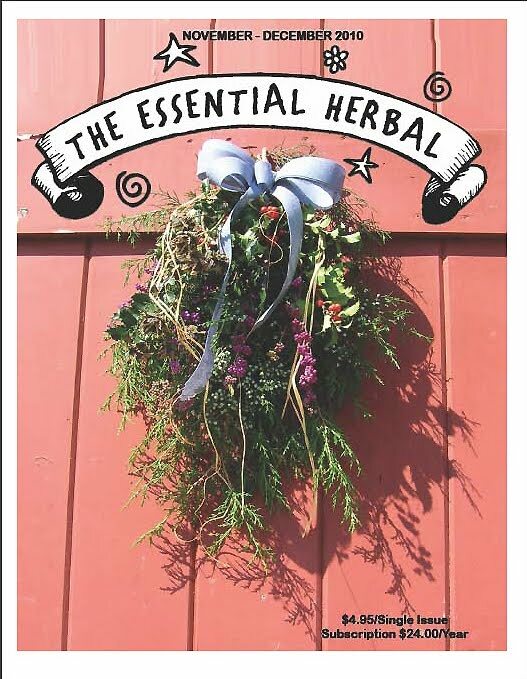 The Essential Herbal Magazine is entering our 10th year of publication. Those first years were amazing, filled with the generous and creative sharing from herbalists everywhere. Our audience was very small though, and we have put those magazines into a volume you won't want to miss. 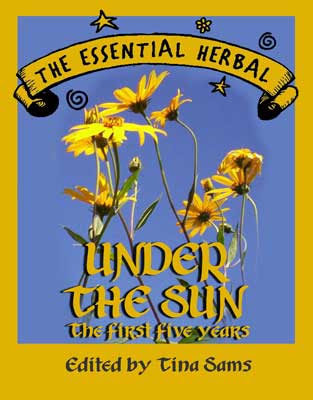 Like the spring and fall compilation - Under the Sun there are over 225 pages (245, in fact) of recipes, herbal lore, herbal remedies, experiences, wild edibles, crafting instructions, and information. By the Hearth also includes an entire section devoted to projects for holiday gifts and decorations. But here's the fun part: we're having a pre-release special! If you order before the printer delivers it to us, you get a full 20% off the cover price. It is just $19.95 until November 7th, but after it arrives here, the price will go up to $24.95. 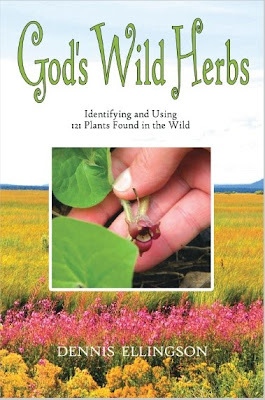 * our friend Dennis Ellingson will be sending signed copies of his soon-to-be-released book, God's Wild Herbs, filled with information, pictures, and recipes on 121 wild edibles around us. * Maryanne at Torchsong Studio has created a bracelet called "Ice & Snow" as a prize, and I have her thinking about one of her teapot pendants in colors that commemorate the cover. * We'll be working on some of the crafts in the book to add to the list, some luscious soap, and I will be contacting some of our advertisers and suppliers (or feel free to contact me if you'd like to supply a prize), so expect this list to grow! I will post the prize list periodically as we go on. *** order as many as you like on the special, they will make excellent gifts for the herbies on your holiday gift list. Each book gets another entry into the drawing :-). Beeswax ornaments and some spicy, warming recipes. From making your own starter, to taking that hot bread out of the oven! Information about feverfew in skincare and arthritis. Ideas on what a new-to-herbs friend might want to build an apothecary of their own. How to use this herb for vinegar, vinaigrette, and a sweet and sour sauce. Simple instructions for making tinctures with alcohol, vinegar, and glycerin. A long, lore filled past brings this herb to our doorways… sacrificial bulls, white robed Druids, and much more. There is much magic and medicine in the history of the plants we gather ’round us in the Yuletide. Anyone for some Sagittarian Apricot Crunch? There’s something herbie to do everyday in the month of December. Roots and spices roasted together for a delicious meal. Fruits and spices combined to make any holiday gathering even more special. Although real licorice is rarely on the candy shelf, this delicious root is full of beneficial actions. How were herbs classified astrologically during Elizabethan times for medicinal use? Pure, gentle, olive oil soap, gilded with herbs. 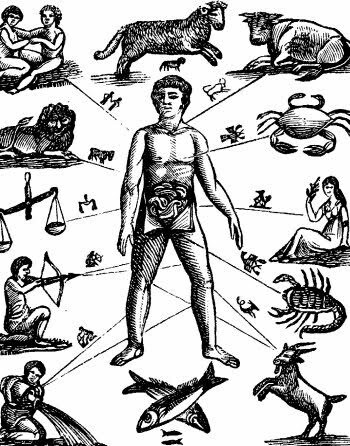 The evolution of herbal medicine in North America, a fascinating history with discussion of several specific herbs. Keep an eye out. We'll be running a pre-order special for By the Hearth in the next couple of days, and there will be a drawing with great prizes with everyone pre-ordering automatically entered. No gettin' around it... fall is here. I wandered around a bit today. Picked the last three figs from the tree, and noticed that they were chilly instead of warm from the sun. I savored them while walking to the mint patch to make a good swipe at the meadow tea (spearmint) and fuzzy (apple) mints. We're expecting lots of rain over the next couple of days, and this may have been the last crack at them before frost nips their leaves. Everywhere I looked, there were single, final attempts at blooming; that one last valiant try at casting seed. Tomato plants still budding... A tattered and tenacious morning glory... Lavender that just won't quit... A small cuke growing amid dry, dusty leaves... A smallish deeply colored lone bloom of anise hyssop... A single little pink, visible from across the yard... A meager tuft of hydrangea struggles over the dried flowerheads... A tiny bit of purple beams in the middle of the faded butterfly bush... In some ways this is a relief. The last 6 or 8 weeks have been filled with manic harvesting and preserving in spaces of time snatched from between getting the magazine out, the Balms & Salves book out, the busiest couple of months Sis's soap business has seen in 10 years, and now By the Hearth is nearing completion. Whew! Yep, I'm happy to see fall tumble in. Here comes the cocooning season, when we can really play with new crafts or recipes. Books can be read at leisure. Maybe some time to visit with friends or do some real writing, rather than cramming in an article here or there. And Autumn is beautiful too... Oranges, reds, and golds will glow in the sun beneath the special blue sky that only really shows itself at this time of year. Pumpkin pie - need I say more? And the time to relax and enjoy all the wonderful things we've dried and saved for this part of the year. Now, once I get the holy basil that is on sheets upstairs cleaned and jarred, it will be play time! Well... and get the book out... And a bunch of other stuff. But seriously, there is light at the end of the tunnel. 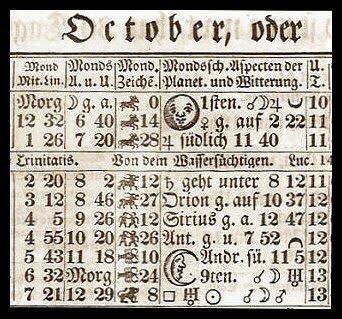 It comes every year about this time! We have some pretty great conversations on the chat list for The Essential Herbal Magazine. A couple of weeks ago, Brenda asked if anyone knew anything about "herb bowls", and the topic meandered in the background. Until yesterday. Yesterday I woke up with the burning desire to try making them. Over the years I've made tons of incense cones and herb beads using clays made with herbs as the main ingredient, and have put together books and kits for those items. It suddenly hit me that a similar clay could be used to create bowls. And so it began. Since the purpose of the bowls is primarily fragrance, powdered cardamom came to mind. I mixed about 1/2 cup of the cardamom with about a tablespoon* of gum tragacanth. It was probably way more tragacanth than was needed. To that, I added water gradually until a nice clay consistency was reached. Lining a bowl with cling wrap, I formed a bowl inside, and then decorated it with cardamom pods (more on that later*). Next, I made a little coiled clay pot. Both of these were made from that 1/2 cup of powder. As they were drying, Kathleen Setzer (Historic Herbals writer for TEH) suggested that they would make wonderful votive holders, with the heat from a candle releasing the scent of the herb. Hmmm. And then I pulled out the frankincense! For this, I used about 3 tablespoons of powdered frankincense, and 2 teaspoons of gum tragacanth - again, way more than necessary and added water slowly to form the dough, and used a custard cup covered with cling wrap as a mold. The dough was exceedingly tacky, but after about 10 minutes on the mold, it started to calm down. At that point, I started inserting pieces of Copal, a sunny, yellow resin, thinking they would create tiny windows in the bowl. *Gum tragacanth is a very strong binder for working with herbs, that adds no scent of its own. A teaspoonful would have been more than sufficient in either of the mixes described above. It absorbs a great deal of water, and using so much means that I will probably have some cracks to deal with as the clay dries and shrinks. I'll make a slurry and patch them when the cracks show up later. An ounce of the gum would be plenty for 5 or 6 cups of powdered herb. *Adding the cardamom pods along the top of the first bowl didn't really work. Many of them did stick, but as the dough shrunk, several dropped off, and got a dab of glue. *Another thing I discovered was that cling wrap on the outside of the custard cup held fast to the glass, making it very difficult to remove. The inside of the clay bowl remains moist because air doesn't reach it, so it has to come off to dry. To do that, I used a darning needle and blew hard into the space it created between the cling wrap and the glass. Not sure what to suggest in its place just yet, though... Just keep that in mind when molding. *All things considered, so far I really like them. The coiled one was the simplest, the frankincense the most difficult. *Less finely powdered herbs are on my to-do list, as the tragacanth will hold it nicely. *These bowls cannot be washed, however I'd like to mention that I've submerged beads made with tragacanth in water for 5 minutes to test them, and while they do get slightly gummy on the surface, they do not dissolve in that length of time, and dry well to their original appearance. The possibilities are endless. Offering bowls, tiny bowls for the Yule tree (be sure to make a hole or handle in that case), votive holders... and the herbs!!! Rosemary, lavender, rose, anise, spicy cinnamon, clove, or nutmeg, sandalwood, cedar... ah -I am in trouble now. I might add some orris root to the next batch just to help fix the scents.